Geofence advertising or commonly known as Geofencing, is a service that allows businesses to access the exact location of a mobile user, giving a business owner the opportunity to send a messageto smartphone users with the hopes to increase local store traffic. From coupons to engagement messages, businesses are able to reach potential and existing customers in a new way. Geofencing is a marketing strategy that local businesses are beginning to utilize to serve their brand messages to targeted audiences.This technology was initially developed to help cartographers map their postulations on GIS maps. As the technology advanced, GIS businesses began to invest in foundational tools that benefited commercial, industrial, and environmental interests. In 2011, as mobile data began to steadily increase, app developers created and utilized more sophisticated methods to gather and parse emerging data provided by mobile users for capital gain. Simply put, when a mobile user crosses a virtual fence, they are served an ad by the owner of the virtual fence. A key component of this strategy is where the ad is displayed on the mobile device. There are three types of Geofencing Delivery Techniques that allow businesses to have more control over how their ad is received. Short message service geofencing refers to the delivery of an ad via text message. As the most common option, display ads appear in the apps or websites the user visits on their phone. When mobile users cross a virtual fence, they are served an ad app based social media platform that is currently open. The process of creating a geofence campaign begins with setting a customizable virtual fence around a specified physical location. Once the ad has been created and uploaded to the geofence campaign, it is automatically sent to all qualifying mobile users entering, exiting, or moving around within the fence. Potential customers will see a business ad displayed in a text message, x, and/or on anapp-based social media platform they are currently accessing. 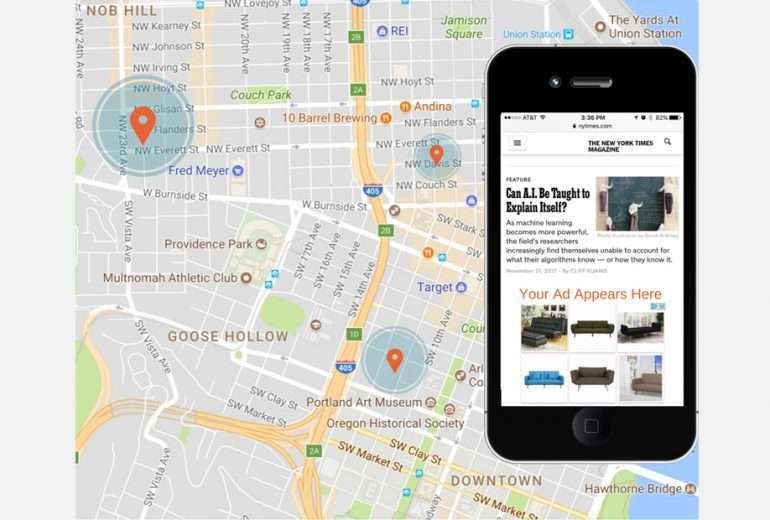 The obvious benefit to geofence advertising is the real-time and immediacy component. Pew Research recently reported that more than 95% of Americans now have a cellphone of some kind. The number of smartphone users, with geofence app access, has continued to increase, a staggering 77% of mobile users in the United States. Furthermore, more 80% of American mobile users time on smartphones is spent inside apps. As you can imagine, reaching potential customers through digital advertising methods is extremely important. Geofencing has now become the most popular location-targeting technique for advertising strategies and is used in over 55% of all advertising campaigns. Reaching mobile users through geofence advertising is increasingly important due to the time-sensitive nature of a users current location. Geofencing can also be optimized for events, connecting attendees with event related messages promoted by the event host. Geofence campaigns aremost commonly used to reconnect with loyal customers, new customers, and customers who visit your competitors’ location. Lastly, good geofence campaigns will provide comprehensive and easy-to-read reports that show the quantitative data of users that were exposed to a business’s ad, visited the store, and/or made a purchase. This shows business holders exactly how their marketing dollars are being spent and their return investment. 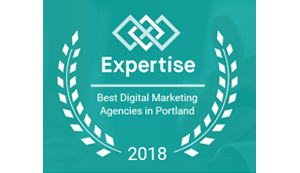 If you’re interested in learning more about Geofencing or other mobile advertising technologies, contact us today at nugdigitalmarketing.com or 503-477-4355 to start earning new and existing customers.